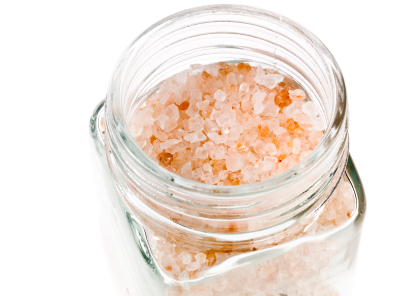 Salt gets a bad wrap quite often as being an excessive part of our diets, but it has some alternative uses around the home. This inexpensive mineral can be used to clean rugs, wood cutting boards, sinks, and various other things around the home. Here are some of salt’s nifty uses. For liquid spills, soak up as much of the liquid as possible using cloth towels or rags. Then sprinkle salt liberally on the area. Wait for about 15-30 minutes while the salt absorbs the liquid. (This is handy for greasy spills, too – the salt absorbs the grease.) Then vacuum up the stained salt and sprinkle on some more. Clean the area with a mixture of 1 part white vinegar to 2 parts water. Vacuum the area again when it’s dry. Someone didn’t use a coaster, or a hot dish made a charred area on your wooden tabletop. Make a mixture of salt and almond oil (olive oil or any salad oil will also work). It should be about the consistency of thick syrup. Apply to the wood with a soft cloth, rubbing the stained area well but gently. Then use a clean cloth to buff away the excess. You can also use coarse salt to clean stained cutting boards. The grit gets the stains out and it helps to disinfect the board too. Discoloration can be a problem with wicker, especially white whicker. Dip a scrub brush into saltwater and scrub your wicker, then allow it to air dry in sunlight if possible. You can use salt to patch up your plaster walls. Mix equal parts of salt and cornstarch, then add just enough water to make a paste about as thick as store-bought spackle. Use a putty knife to fill in the holes and chips in your plaster walls. This will also work on sheetrock (drywall) walls. When the paste is dry, sand it lightly before painting. The gentle scouring and water-softening effects of salt can help remove hard water build-up and other stains from glass. Simply rub damp glass surfaces or drinking glasses with salt, the rinse with warm, soapy water. This technique also works on ceramic cups and mugs. Mix 1 cup of hot water with 1 cup of salt and pour it down a drain that is clogged and/or smelly. Leave overnight, then flush with hot water the next day. Salt absorbs grease, which is one of the primary causes of drain clogs. Wipe your car’s windshield with a sponge dipped in salt water. This helps prevent frost and ice from forming on the glass. If you live in areas where winter is harsh (like I do) this can be very useful! Clean stains on clothing by sprinkling them with salt, then rubbing with a damp cloth. To prevent colors from bleeding out of fabrics, add 1/2 a cup of salt to your machine’s washing cycle. For cotton or linen that has gotten yellow, soak these items in boiling water mixed with 1 tablespoon of salt and 1/4 cup of baking soda. After an hour, remove the clothing and rinse.